I hope you all are having a great Wednesday. I just wanted to share a photo of my mini two-strand twists from earlier this month. The picture above was taken right after I finished them. My hair was stretched quite a bit. I like black and white photos, but I always forget to use the feature, lol. So, I decided to use it for the photo above. Also, you can follow me on Instagram. Use " #1BlessedNatural" if you'd like me to feature your natural hair photo on there. What natural hairstyle are you currently rocking? 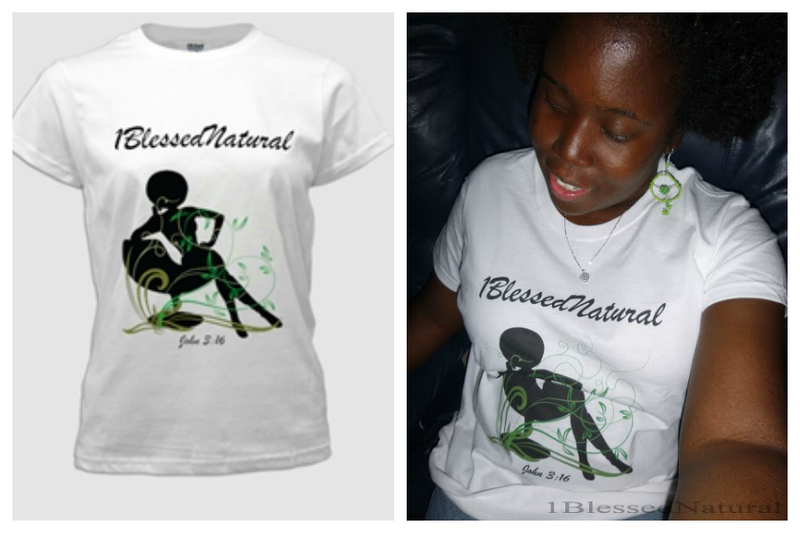 The 1BlessedNatural t-shirts are available for purchase!